Major works are now underway for a new $5.5 million child and family centre in Larapinta, funded by the Northern Territory Government. Situated on the Larapinta Primary School site, the centre will provide a seamless pathway through early childhood to primary school. MPH Carpentry and Construction Pty Ltd Director Mark Harvey said the tender is providing many jobs in the centre and is a welcomed investment in the local economy. The Larapinta Child and Family Centre will become the sixth of its kind in the Northern Territory joining Maningrida, Ngukurr, Yuendumu, Gunbalanya and Palmerston. The centres bring together a range of early learning, health, child care, parenting and family support services to improve the overall development and wellbeing of children. The Larapinta Child and Family Centre is due for completion in June 2016. For more information about Northern Territory Government Indigenous Child and Family Centres go to the Department of Education website. 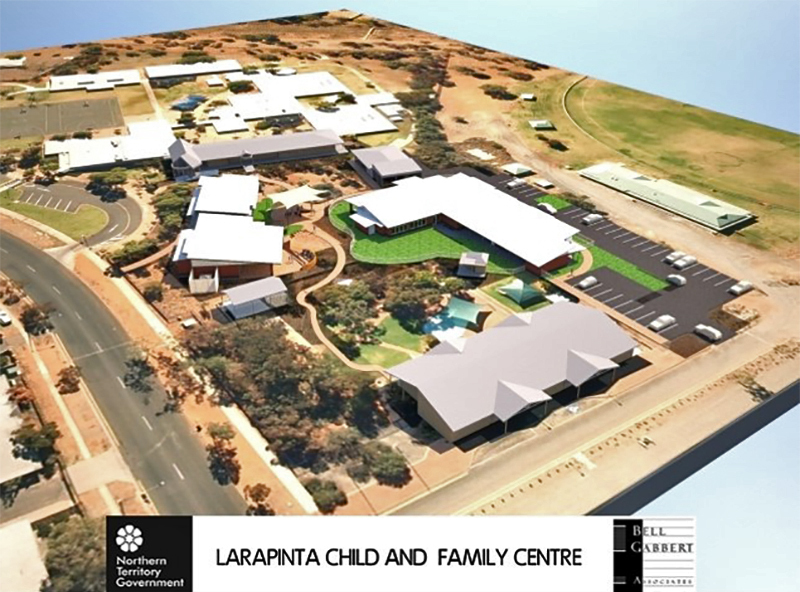 An artist’s impression of the Larapinta Child and Family Centre.